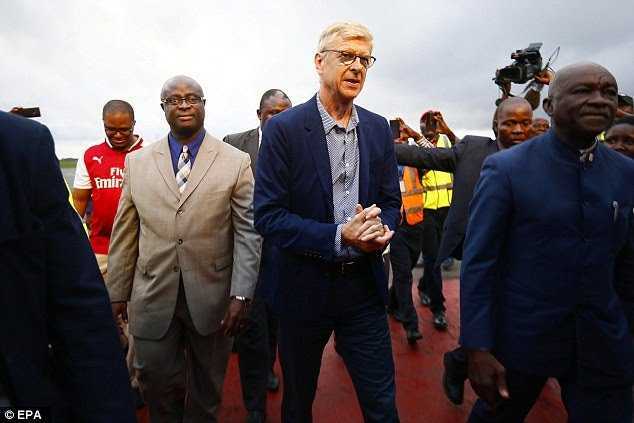 Ex-Arsenal manager, Arsène Wenger arrived Liberia today where he’s due to get the nation’s highest honour. 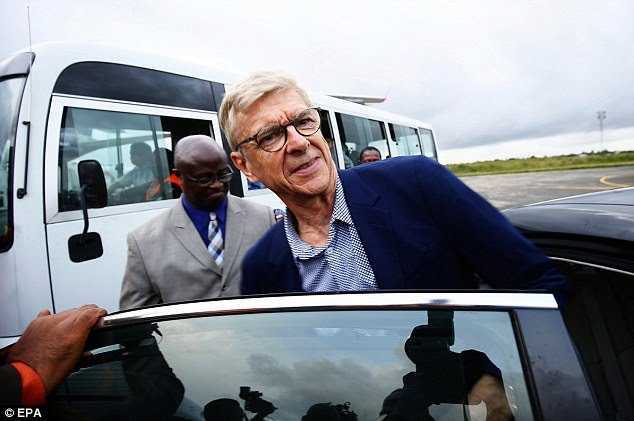 The Frenchman was George Weah‘s first European football coach, who brought him to Monaco in 1988. 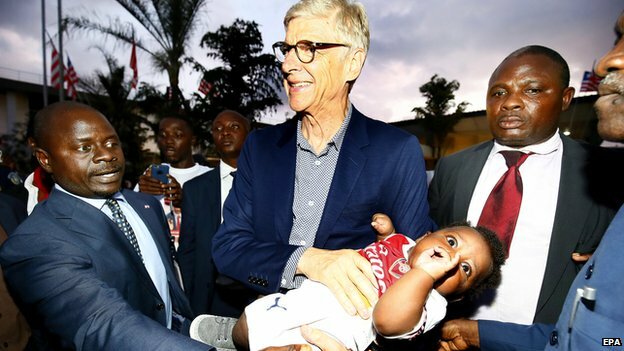 George Weah who was elected President of Liberia months ago had always spoken of Wenger in glowing terms, because of his impact in bringing him to Europe, where he laced his boot for Paris Saint-Germain and AC Milan, and became Fifa World Player of the Year in 1995. He retired from football in 2003 and went into politics. 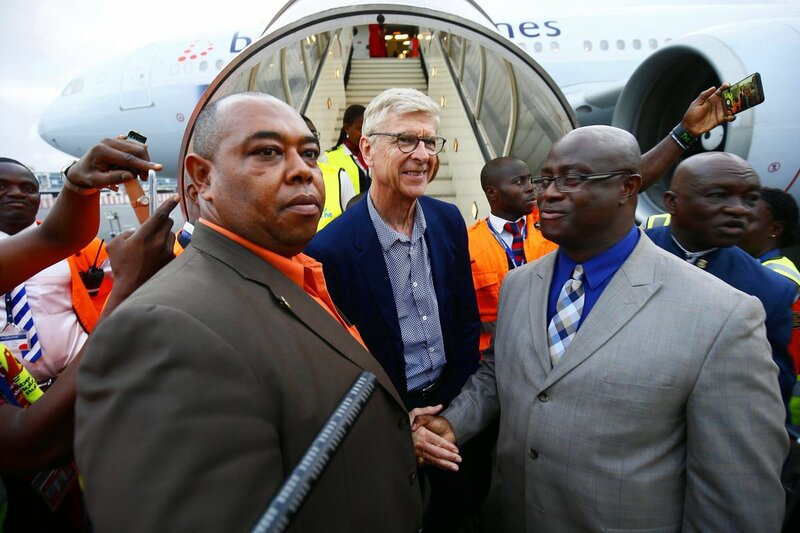 On Friday, 23rd August, 2018, Wenger will be given the title of Knight Grand Commander of the Humane Order of African Redemption in recognition, at a investiture ceremony in Monrovia for his “contribution to sports in Africa” and work in giving “many Africans opportunities”. “I remember when I saw him the first time at Monaco, coming in a bit lost, not knowing anybody, not being rated by anybody as a player and becoming the best player in the world in 1995 and today becoming the president of his country. The life of this guy is a real film. It is unbelievable. 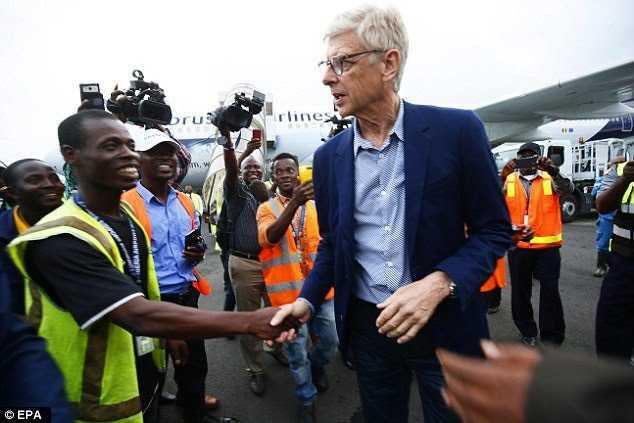 It can make a fantastic film.” Wenger said in January. The Champions League Quarter Final Draw Is Out! Sunday Oliseh’s kids are too cute.